Bitter Orange will not be for everyone, but it had everything that I look for in a book. The characters are dynamic, flawed, and very human; the setting is very atmospheric and has an air of mystery; and the writing is descriptive and beautiful. I would classify it as historical fiction and mystery- a combo that I have come to realize I really connect with. It took me a little while to get in to, but once I did I was really in to it. There were some twists that caught me completely off guard and I thought were brilliantly executed. You never really know who to believe or what exactly is going on. There is something very sinister about Bitter Orange and it has continued to haunt me- which I love! 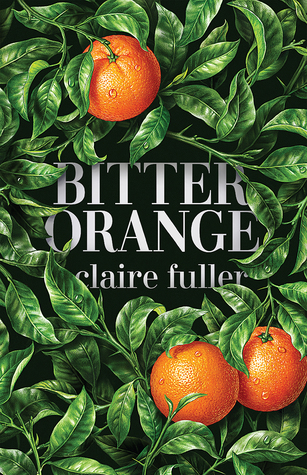 This book has solidified the fact that Claire Fuller is one of my favourite authors- I will read anything that she writes. 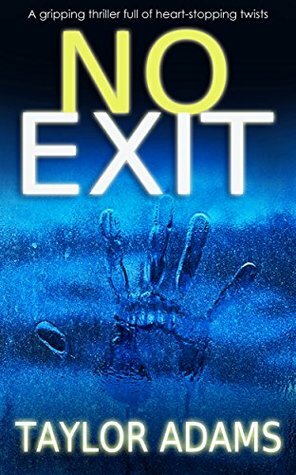 I am sad to say that No Exit did not work for me. I think my main problem with it is the fact that there is so much action, and not enough character development. I am someone who wants to understand my character’s actions and motives, even in thrillers. There was so much going on that it became unbelievable and I was ready to just see how it wrapped up. I do have to say that I was unable to put this book down, even though I wasn’t quite enjoying it- it is definitely fast-paced. I found some things predictable and obvious, but the epilogue was brilliant. I really thought it was quite a genius ending, which I don’t often find in thrillers! I think you will enjoy this book if you are looking for a thriller that keeps you on the edge of your seat with one action scene after another. Kimiâ Sadr fled Iran at the age of ten in the company of her mother and sisters to join her father in France. Now twenty-five, with a new life and the prospect of a child, Kimiâ is inundated by her own memories and the stories of her ancestors, which reach her in unstoppable, uncontainable waves. In the waiting room of a Parisian fertility clinic, generations of flamboyant Sadrs return to her, including her formidable great-grandfather Montazemolmolk, with his harem of fifty-two wives, and her parents, Darius and Sara, stalwart opponents of each regime that befalls them. In this high-spirited, kaleidoscopic story, key moments of Iranian history, politics, and culture punctuate stories of family drama and triumph. Yet it is Kimiâ herself—punk-rock aficionado, storyteller extraordinaire, a Scheherazade of our time, and above all a modern woman divided between family traditions and her own “disorientalization”—who forms the heart of this bestselling and beloved novel. I predict that Disoriental will end up being my favourite book of the year. It is absolutely fantastic- I can not even put it in to words! It has reinvigorated my love for historical fiction as it has reminded me how much an author can do within the genre. Djavadi brilliantly weaves Kimia’s personal and family story with the historical events that were going on in Iran and France at the time. It was so well-written and the characters felt so real that I had to check multiple times to make sure that it wasn’t actually a memoir. 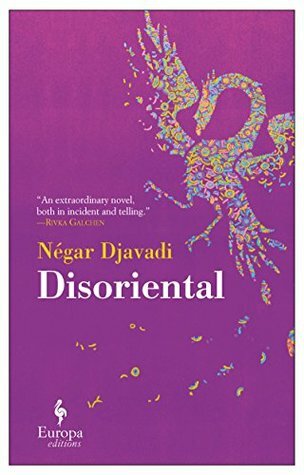 Disoriental alternated between the past and the present, which can easily go wrong, but Djavadi made it feel seamless. I enjoyed both narratives equally. This might be my favourite book in translation that I have ever read. I truly can not put in to words how much I love it; please just give it a chance! I keep seeing so many favorable reviews for Bitter Orange that I’m now rethinking my decision to take a pass on this book. What you found appealing strikes a chord with me, too. What a conundrum with No Exit! That one I have on my shelf and it seems to have lived up to my expectations about excitement level. I’m troubled by your comments regarding character development as that’s important to me, too. There’s also something to be said for a book you can’t put down. Guess I’ll see. Thank you for your insights, Kristin! If Bitter Orange appeals to you I highly recommend it. I thought it was brilliant! I am definitely in the minority for No Exit. I think you should definitely give it a chance especially since you own it. It’s fast paced so it won’t feel like wasted time I don’t think. You should if it sounds like something you would like! It’s brilliant. Seems like you have really interesting read. Bitter Orange sounds great. Awesome reviews! They are! I highly recommend Bitter Orange. I can’t say enough good things about it. I know! All the other books I read this year will have a lot to live up to. Fuller is a genius. It’s like she is writing for me and knows my tastes exactly. I don’t like a lot of real action but I had my heart set on No Exit for a while. I’m still kind of curious but at least I’m having more realistic expectations now. Thanks for the reviews! I would be interested to see what you think! I think it’s worth reading if you are curious because it’s a quick one and I thought the ending kind of made the whole thing worth it. I almost picked up a copy of Disoriental yesterday because you keep raving about it! But I’d already bought 7 books this weekend so I couldn’t justify it 🙈 I do want to get to it at some point soon though! haha I definitely understand that! I hope it finds a way on to your shelves soon. So so good! Disoriental looks amazing… Iranian History, POC’s and a 25-y-o heroine, and kind of scandalous? Yes, right up my street. It’s going straight to my TBR. Great reviews! Thank you! I can not wait to see what you think of Disoriental. It is a very special book.